When selecting an alarm system, we are given two choices: hardwire or wireless. This is the decision that leads security professionals to ask, "Which is better?" The answer tends to come down to the individual needs of your facility and which features matter most to you. Is it reliability? Is it cost? Or maybe the need for quick installation? 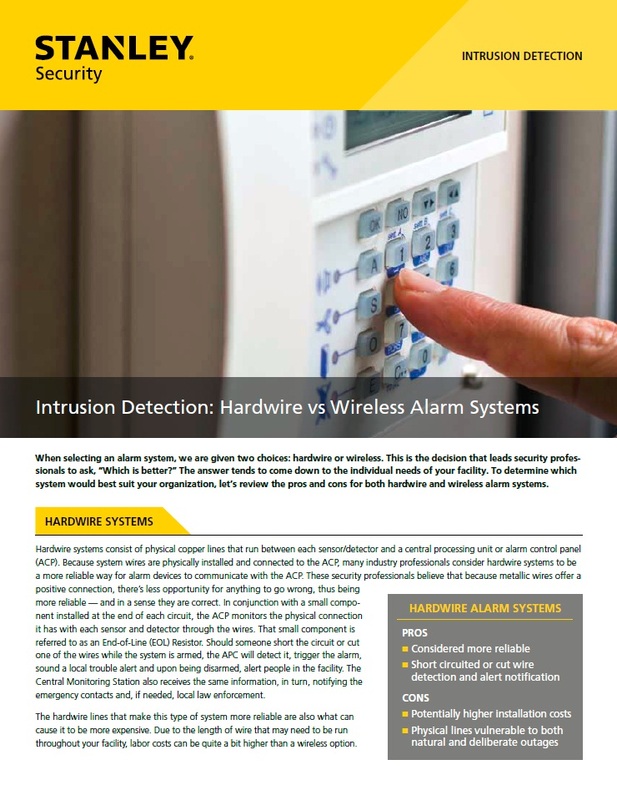 To determine which system best suits your organization, download this article to review the pros and cons for both hardwire and wireless alarm systems.